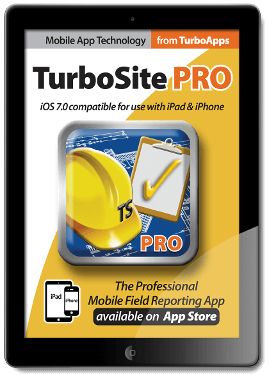 Save up to 80% of the burden of documenting site visits and fieldwork with TurboSite®. If you do site visits or fieldwork, this is the app you've been waiting for. For decades documenting walk-throughs and creating punch lists have been a time-consuming and physically-tiring process. TurboSite is doing away with that. Using only TurboSite and a lightweight iPad, building plans are electronically viewed. Navigation around plans, including all saved views, is lightning fast using simple gestures. GeoWalk® tracks your location within a structure or site -- with or without connectivity to the Internet, satellites, cell towers, or even WIFI. Our patent pending GeoNudge® even lets you pinpoint your exact location. When documentation is required, a photo or video is taken using the iPad's built-in camera and is automatically positioned correctly in a separate layer over the electronic file. Text notes and audio annotations with auto-geolocation properties can also be added. Even your orientation when taking notes and photos is denoted by TurboSite's unique GeoMarks™. Powerful redline markup for 2D and 3D -- including AutoShapes, a first-of-its-kind way to draw accurate geometry with simple gestures -- makes sure you'll never miss the chance to document any important findings from a field visit. And unlike the tedious traditional process, once the information is gathered, you can immediately share your findings electronically with your entire design and construction team at the touch of a button... or instantly print a customized PDF report and distribute hardcopy. Either way, creating a field report has never been so easy. Perfect for building construction, site design, job site inspections, construction administration, as-built verification, or practically any other AEC-related fieldwork project. Designed as the ultimate field and site survey app, TurboSite reinvents the way every architect, engineer, and contractor will approach site visits and documentation.